To heighten the effectiveness of your home care, Lily Peace has created 3 Davincia facial treatments specifically designed for mens’ skin. When alternated according to your specific needs, they offer you exclusive professional products & techniques for results that are more high-performance than ever. The Bonus: the relaxing & invigorating aromatic atmosphere of 100% pure and natural essential oils. This deep-cleansing treatment purifies, balances and brightens your complexion. Blackheads and dead cells are gently eliminated by the professional face peel technique that remains mild on the most delicate skin. This skin-cleansing phase is followed by a relaxing and aromatic massage for the face, neck & chest. A real radiance-revealing treatment to indulge in whenever you feel the need. This expert anti-wrinkle, firming and energizing treatment acts like a mini-facelift. Your face looks redefined and your complexion regains its youthfulness. Ultra-targeted cleansing, exfoliation, misting and masks follow each other in harmony. A treatment highly concentrated in natural active ingredients to give your face a real burst of energy. The first signs of aging and a dull complexion are often caused by a lack of hydration. Your skin feels tight. It needs deep hydration that your usual cream cannot provide. 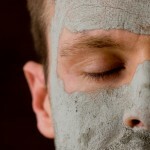 This treatment begins by cleansing, exfoliation and a steam bath, followed by a double moisturizing and repairing masque. It ends with a massage of the face, neck and upper back. Your features are smoothed. Your complexion looks radiant. Your skin regains all of its comfort.